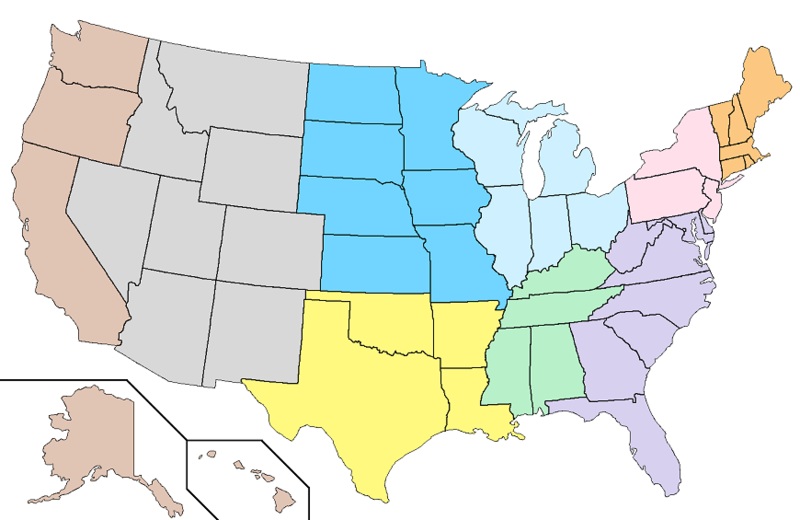 Can you rank the nine U.S. Census Divisions in order of population from most to least populous? Population figures are based on July 1, 2018 estimates from the U.S. Census Bureau. Also try: Name Any Capital... FAST!